HOUSTON — Another round of modified Arctic air arrived in Texas on Thursday with falling temps and a gusty north wind. 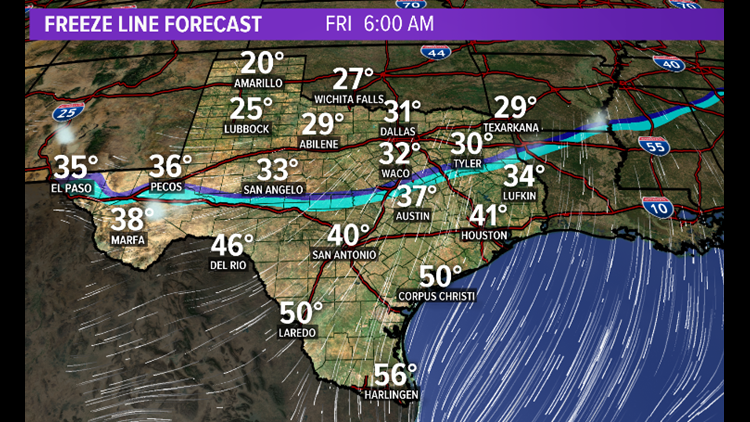 For the Houston and southeast Texas region, temps will stay above freezing overnight and Friday. In central and north Texas however, conditions will be cold enough to allow for a swath of light sleet and snow. It's moisture and a disturbance riding the jet stream overhead from the Pacific Ocean. 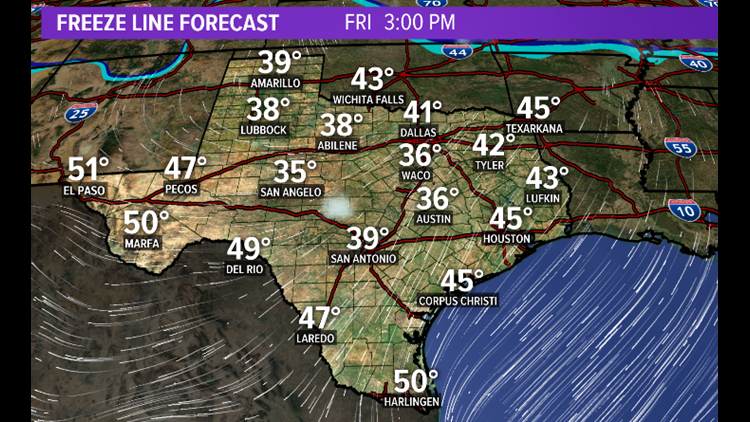 ...then warm back above freezing across all of Texas by Friday afternoon (below). Light sleet and snow may impact the Dallas area Friday evening as well. Surface temperatures again look too warm for it to cause any major problems on Texas roads.